Ask anybody to flex and “show off their gains” and you can almost guarantee that the muscle they’ll tense will be their biceps, in a signature single, or possibly even double bicep pose. When you see people training on the TV and in the movies, they’re almost always curling a set of dumbbells in order to work their biceps, so it’s easy to understand why the biceps are considered the most popular muscle group to train by many “gym rats” and fitness enthusiasts. When you hit the gym for example, you’ll no doubt make sure you never neglect your biceps because you’ll want to be able to fit into a T-shirt which fits loosely on your torso, yet clings tightly onto your biceps, and feels as if it could rip the second you happened to flex them. Of course we all want a set of huge and defined guns that we can display proudly whilst out and about, but unfortunately adding size to them is far easier said than done. If you’re looking to build big biceps faster, however, to show you that it can be done, take a look at these handy tips and you’ll be showing the guns off in no time at all. Wait, that’s a typo right, we’re talking about training the biceps, not the triceps?! Nope, it’s no typo, in order to build big biceps, or at least, in order to create the illusion of having big biceps, you will need to train your triceps very hard and very regularly. The reason for this is that, although you want big biceps, what you really want is big arms, as a small arm with a large bicep muscle looks absolutely ridiculous. The triceps are a three-headed muscle that makes up the vast majority of your upper arm, so naturally if you build big triceps, you will, by default, have bigger arms. 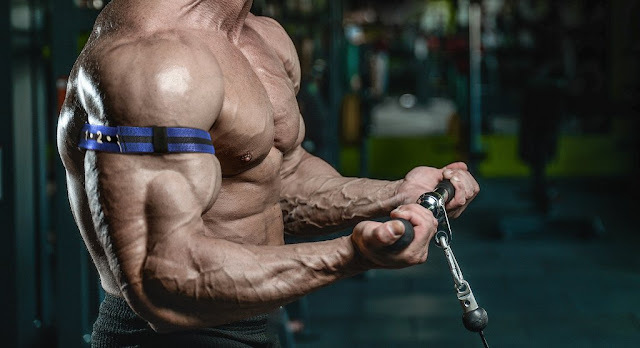 Large triceps along with a large bicep muscle will make your arm look much larger, more symmetrical, and far more in proportion than if you simply have a large bicep. If you’ve ever seen people who train biceps religiously, yet barely train their triceps at all, their arms will look incredibly small and skinny, yet when they flex their bicep, it will look as if they have a small tennis ball under their skin, which, for many, is not considered a good look. Ok, now we must be having a joke. This is an article about building big biceps, and the first two tips that we’ve shared have both talked about training different muscles. Nope, again, we’re not having a joke, and to prove so, just listen to our logic. Making your back bigger and more defined will not make your biceps look bigger in the same way as training triceps does, but the exercises you perform will make them look bigger. The biceps are a pulling muscles, which means that to train them, you have to pull the weight, rather than push it. Guess what is also a pulling muscle? Yep, the back. Many pro bodybuilders rarely train their biceps during the off season, because they get enough work when they simply train their backs. We aren’t recommending that, but we are recommending that you never neglect your back. The next time you’re performing a set of close-grip lat pull downs, after your last working set, just feel your biceps and feel how pumped they are. Many back exercises are compound exercises, which means that they train other muscle groups, especially the biceps. In order to train the biceps, you’ll probably already be well aware that you’re going to have to get used to curling to really give them a good working. However, don’t think that standard single, or double, dumbbell curls are the only exercises you should perform. There are hammer curls, seated double-arm curls, seated single-arm curls, EZ bar curls, preacher curls, and barbell curls, amongst others. Mix these exercises up, don’t just perform the same ones, and don’t always stick with the same weights and reps either, which we’ll learn more about shortly. As mentioned, in order to really build big biceps faster than normal, you will need to switch up, not only the exercises you perform, but also the reps and weights that you use as well. If you’re like most people, you’ll probably stick with the usual weight which allows you to perform 8 – 10 reps per set. However, now and then, go with a lighter weight and rep it out instead. Choose a weight that allows you to perform 15 – 20 reps instead. To begin with, it will feel light and easy, yet by the time you reach 15 reps or so, your biceps will burn and will feel more pumped than ever. A great way of really finishing off any biceps session, and one which is guaranteed to help you build big biceps faster, is too, what is known as “run the rack”. By this, you should choose a basic dumbbell biceps exercise, the double-arm hammer curl for example, and should start with the lightest weight there, perform, say 16 reps, and then immediately jump onto the next set of slightly heavier dumbbells, perform 14 reps, and so on, getting heavier and performing less reps until you can’t physically perform another one. Your arms will literally feel as if they’re on fire by the end, and you’ll feel bigger and more pumped than ever before. A multivitamin is essential for your everyday health as well as building muscle. Opti-Men is a top-notch multivitamin for athletes and bodybuilders because it was geared towards them. You will experience better energy, recovery and the nutrients needed to achieve your goals while maintaining general overall health. Absorption is spot on and the price although some may claim is rather high is well worth it for what you get in comparison to a generic multivitamin from your local drug store. Also noted is the fact that this multivitamin has digestive enzymes built right in which you can’t say about most other multivitamins on the market. There is a slight pungent odor to the pill (common with multi’s) however there is no after taste present after swallowing. 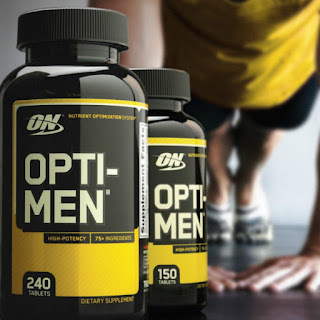 You cannot go wrong with the highly underrated Optimum brand and equally important is the fact that these pills are easy to swallow. You will not be disappointed with this purchase.